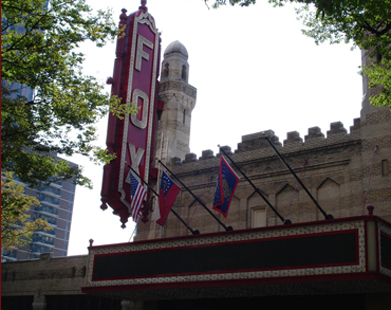 Over its 75-year history, millions of people have experienced moments of magic among the exotic trompe l'oeils, bedouin tent and magnificent night sky of Atlanta's fabulous Fox Theatre. A galaxy of stars – from Leontyne Price to Elvis Presley and from Rachmaninoff to Jeff Foxworthy – has played on its stage. Built in 1929, the Fox was nearly demolished in the '70s, but was saved to become premiere entertainment center we have today. There is no video for this file.